Uz is a woodwind and brass trio that started playing together in 2009, offering a jazz repertoire composed by its three members: Chefa Alonso (soprano sax), Miguel Bestard (tuba) and Marcos Monge (tenor sax and bass clarinet), all of them with ample experience in different jazz, free jazz and free improvisation set ups. Like a band of brothers (and sisters), they interact and interchange their roles, vivaciously becoming soloist or backing band at ease through a variety of composed and improvised arrangements. The music of Uz is kind and fun, reminding us of puppet plays, the circus, the blues and free jazz. 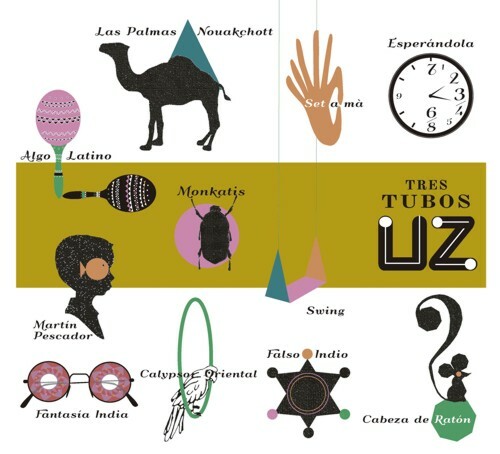 Tres Tubos is their first album.